The Kelowna Judo Club is a non-profit martial arts organization founded in 1953, run by skilled black belts volunteering many hours of teaching the Sport of Judo to all ages, males or females for recreation or competition. WHY PRACTICE THE ART OF JUDO? The Martial Art of Judo will work out your whole body and its much more fun than an exercise machine. Want to step up your game? Or switch things up? 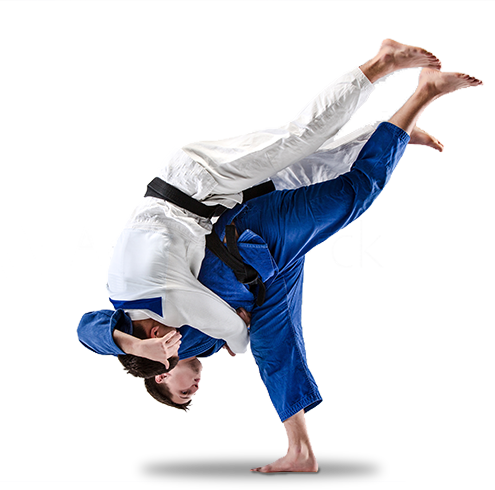 Cross training with Judo provides excellent cross training for any team sport as well as other martial arts such as Brazilan Jiu Jitsu or Aikido. Judo is definitely a physical sport that practices hands on techniques against resisting opponents who are trying to gain control over you. Children appreciate their Sensei’s and senior students who provide positive encouragement, and mentoring. Adults enjoy friendships, the workout challenges, and the opportunity to improve and practice their Judo skills in Judo matches.